This article will teach you about how you can perform a google search on Internet Explorer using Microsoft Excel. check if window is Internet Explorer. Get the Page object of Google Search window. 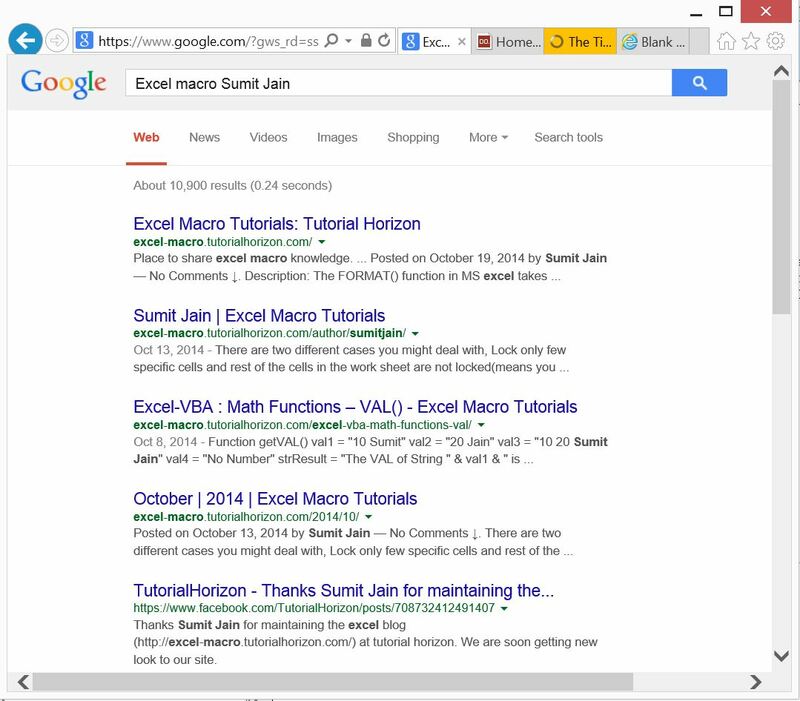 SearchEditB.Value = "Excel macro Sumit Jain"
214 queries in 0.087 seconds.